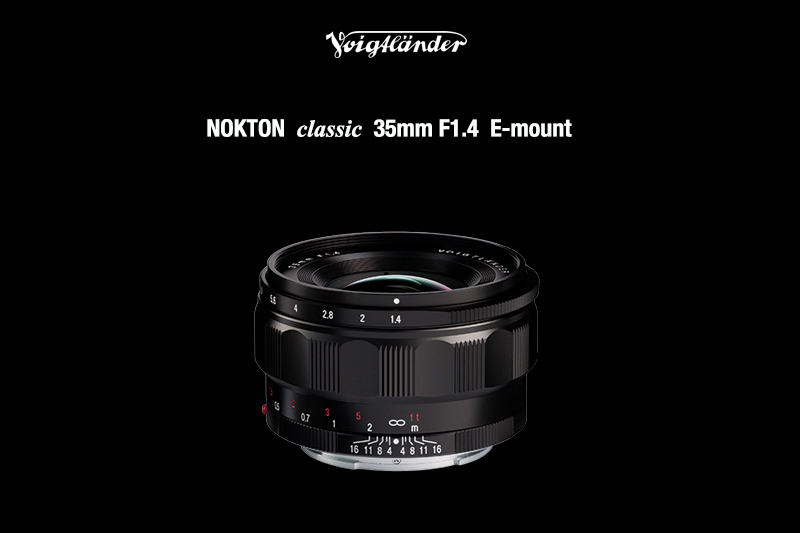 Cosina Japan officially announced the Voigtlander Nokton Classic 35mm f/1.4 FE Lens for Sony E-mount users. The suggested retail price in Japan (excluding tax) is ¥85,000 (the US pricing is not yet announced). Shipping is scheduled to start in February 2018. You can see the official sample images at Cosina Japan. With Sony E mount compatible electronic contact, lens usage status is reflected in Exif information of shooting data. In addition, because it incorporates a distance encoder, it supports 5-axis camera shake correction on the camera body side. You can also enlarge the display by operating the focus ring. Symmetrical Lens Construction Reconstructed with the latest optical technology while adopting a traditional symmetrical lens configuration to obtain a unique and beautiful depiction. By adopting ultrahigh refraction glass, we have realized a large aperture with compact size. Optimized optical design In addition to securing full-size image circle, it adopts optical design optimized for Sony E mount sensor. You can enjoy soft delicate descriptions reminiscent of classic lenses with stable image quality. Manual Focus capable of reliable focusing the total metal helicoid unit processed and adjusted with high precision and the high-quality grease that produces moderate torque realize smooth operation feeling. It enables delicate focus adjustment.